Most people are privy to the Mercury retrograde, regardless of how astrologically savvy they may be. However, many people aren’t aware that Mercury isn’t the only planet that goes retrograde, in fact, Jupiter is officially in retrograde and it has a major impact on our lives. Depending on the zodiac sign we fall under, Jupiter’s retrograde means different things for different people. So where do you stack up? The Jupiter retrograde is going to force you to take a different approach to life, but in a very good way. This will be a time of abundance and opportunity to you; however, you will need to expand your horizons, and think outside of the box. The world is your oyster, so seize it! In the past months, you have dealt with a lot. However, if you have lost your ability to trust and to be vulnerable by letting others in, now is the time to change that. Allow yourself to be vulnerable with others, dive deeper into emotional bonds, and start the process of healing. If someone is in your life, whether it is a business partner, best friend, or someone you are romantically interested in, and you find that you are meshing well- enjoy them! The Jupiter retrograde is going to expand your personal relationships, and possibly push someone who can enlighten you onto your path. If you have been craving something, or needing something more in a general area of your life, now is the time to hone in on making it happen. Jupiter is going to bring abundance into your life, and channeling your desires will make it happen faster. Are you feeling a little wild lately? Release your inner child, and focus your mind on what you truly want. So embrace the things that make you happy, and aim your sights on self-love. Now is the time to sit back and contemplate gratitude. What are you most appreciative of in your life? Jupiter is urging you to remember the things you are most grateful for and to appreciate the blessings you have been bestowed. Right now, you need to focus most on furthering a current skill, or learning something new. Try to get out and talk to new people, and contemplate a possible partnership for a business venture or creative project. The world is offering you a number of opportunities, are you ready to accept them? Jupiter will be sending some strange vibes your way, but only in the best way. The only thing you should focus on is being yourself. While that may not seem like much, you will truly have the spotlight on your unique soul, as long as you continue to embrace yourself, and let your figurative freak flag fly. With your planet in retrograde in your sign- it is your time to shine! So, if you have been holding back on new adventures, stop holding back and go for it. Your focus needs to be on spiritual development. Try meditating on the regular and find new ways to advance and evolve your soul. This will lead to some major energetic upturns in the long run, and Jupiter is allowing you a window to get closer to the highest version of yourself. In the past few months, you may have been searching for your true self. Jupiter is going to allow you the ability to tap into your social side, and to hone in on your future goals. So, you shouldn’t be searching too much longer, as grasping this energy is really going to show you something amazing about your true self! 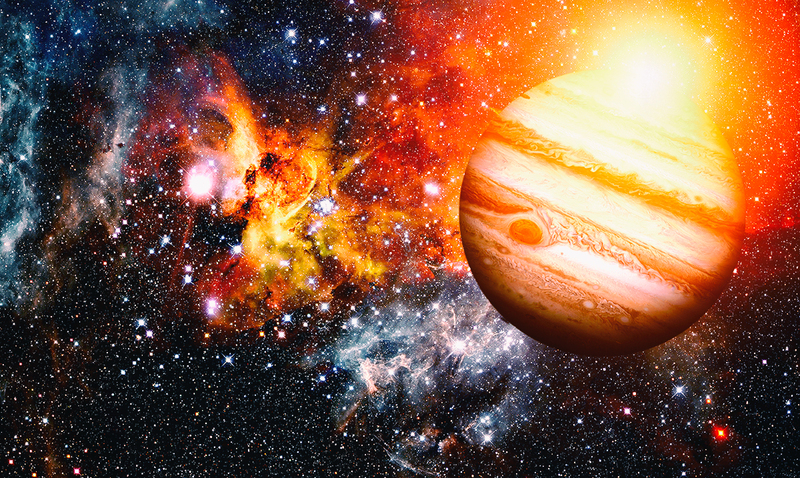 While you typically fear being the center of attention, Jupiter is spotlighting you this month, and putting you on the way to an experience that will help you learn about your authoritative side. You may not think you are ready, but Jupiter is indicating that you are. Embrace this as part of your journey, and if at all possible, use it to your advantage.